Infront Sports & Media, media and marketing partner of the European Handball Federation for the EHF EUROs, has secured an Official Sponsorship agreement with engelbert strauss, the leading European mail order company for work-wear and personal protective equipment. It covers both the Men’s and Women’s EHF EURO 2014, taking place in Denmark from 12 to 26 January and in Hungary/Croatia from 7 to 21 December 2014 respectively. 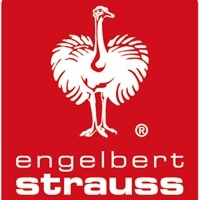 Taking advantage of the full range of brand communication options available, engelbert strauss will benefit from strong brand positioning in camera view. Advertising spots at both events include the centre circle and LED boards as well as brand integration on the sleeves of all players’ shirts. In addition, use of the official event logo as well as website presence are included in the package. Karl-Heinz Brenner, Marketing Director at engelbert strauss, commented: "With our brand being present in eight markets across Europe, the EHF EUROs provide us with an excellent platform to reach out to our international target audience. "Through this Official Sponsorship package, the engelbert strauss logo will be integrated at the heart of the handball action twice – when the men’s teams open and when the women’s teams close the handball year." Stephan Herth, Executive Director Summer Sports at Infront, commented: "In 2012, the Men’s and Women’s EHF EUROs 2012 have broken another record in TV exposure – jointly achieving a global cumulative audience of 1.85 billion. "This strong viewer interest and exposure will now also be to the benefit of the seven Official Sponsors for the upcoming 2014 Men’s tournament that has – with the addition of engelbert strauss – marked another sponsorship sell-out for the EHF EURO."